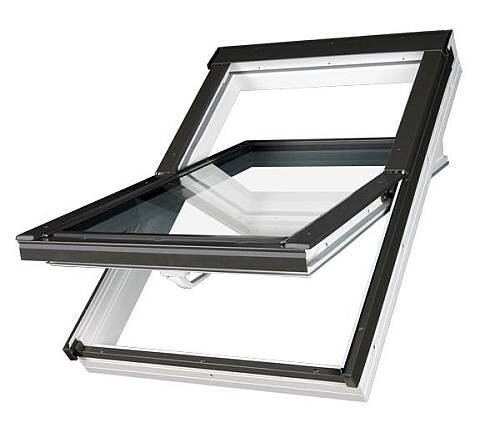 PTP is a completely new type of window - a unique product that combines aluminium and PVC construction. 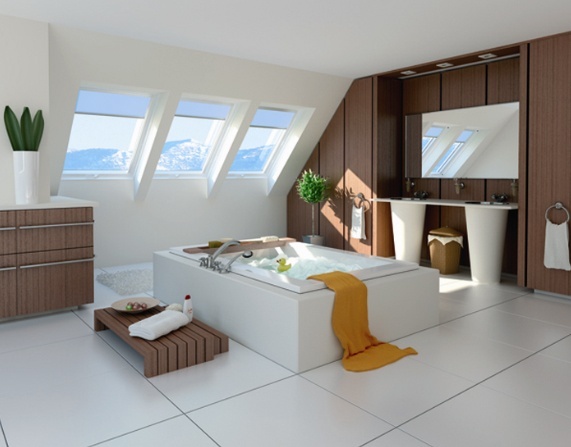 It is designed for use in rooms with increased humidity such as bathrooms or kitchens. 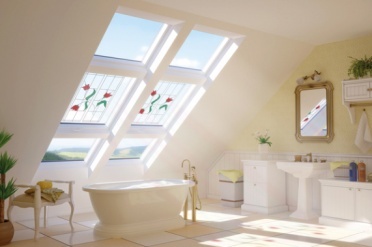 This window can also be used in rooms where the homeowner wants a white, easy to clean roof window. Some of the solutions are patented. The PTP window is a centre pivoting roof window, made of multi-chamber PVC-U profiles in white and reinforced with steel. This construction ensures very good stability and protects profiles against warping. The window also uses a new aluminium profile to hold down the glass. The profile matches perfectly with the window's exterior and ensures the product's durability. 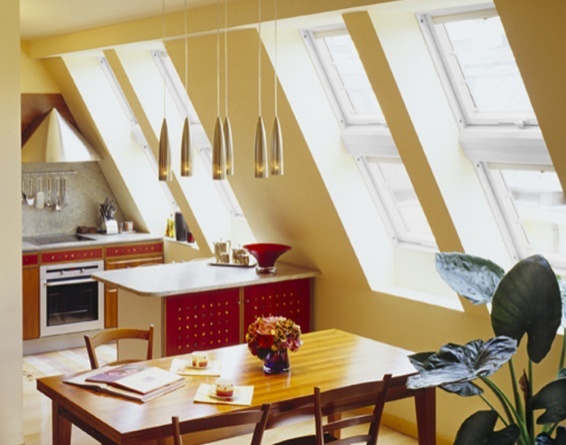 The window is durable, resists corrosion and weathering, and requires minimum maintenance. The material the window is made of does not absorb any humidity and exhibits a high resistance to acids and alkaloids.